One of the fundamental messages we try to drive home with all of our practices is the critical importance of establishing long-lasting relationships with your veterinary clients. Attractive prices might get someone’s foot in the door, but it’s the personal connection that will ultimately keep them coming back, year after year and generation after generation of pet. That being said, making these connections isn’t always something that comes naturally to all of us.If you find yourself struggling in this area, here are a few strategies you can implement that will help you establish more meaningful and therefore more profitable relationships with your clients. Start with the first impression. Before a client has the opportunity to meet and connect with you as the doctor or practice owner, he or she will likely begin their experience with a simple phone call. How that call is handled can set the tone for a long-standing, mutually beneficial relationship or a one-and-done interaction. If it’s a particularly poor experience, it could eliminate your chances of ever meeting that prospective client in the first place. So, simply put, your front desk is the gateway to your practice. Make sure that first impression is an outstanding one, each and every time. One of the keys to connecting with clients is taking the time to listen to their needs and concerns and to answer their questions adequately. You can’t accomplish either of these things if you’re rushing through appointments. Make a point not to overbook and be conscious when you’re with a client to slow down and give them your undivided attention. It will pay off tenfold. Social media has made it possible to connect with large audiences in a way that is both efficient and highly engaging. Take advantage of this powerful tool by establishing and maintaining an active online presence for your practice. In the last installment of our DVMelite Expert Series we detailed how to more effectively think like your clients. This is important because it helps you find that common ground and provides your clients with a more human view of your practice. Even something as simple as smiling, making eye contact, offering a hug or sharing a story about your own animal family member can go a long way toward cementing that bond. Be responsive and willing to improve. These days, the internet has provided a public platform upon which unhappy clients can share their bad experiences with the whole world. Be responsive – even to the negative reviews you receive. Be professional, positive and offer a solution. Above all, be willing to take feedback and use it as a tool for personal and professional growth. 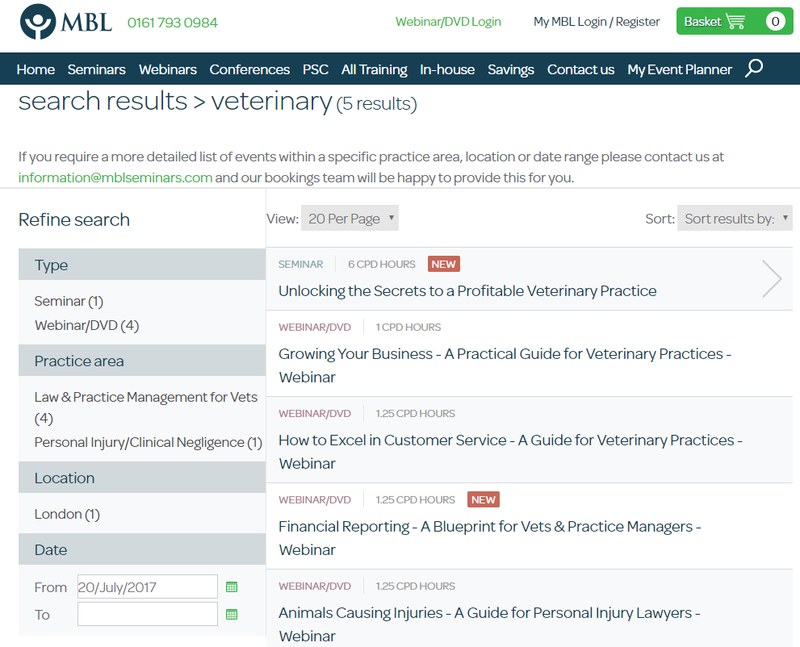 This will improve relationships with current clients, potentially bridge the divide with unhappy ones and demonstrate to future prospects that you care and you’re willing to make the changes necessary to become a better veterinary provider. In other words, it’s a win-win.Connecting with clients on a personal level is something we recommend to all of our DVMelite practice go-getters. Why? Because it’s ultimately what will differentiate your clinic from all the others in your geographical area. It’s also a catalyst for generating valuable word-of-mouth marketing. In other words, it’s essential to the growth and ongoing success of your practice. Are you doing enough to establish those all-important personal connections with your clients? If not, the above tips should provide you a good starting point. This webinar - Financial Reporting - A Blueprint for Vets & Practice Managers - will take a practical approach to using information from the practice Profit and Loss Statement and Balance Sheet to create a number of business tools and management reports for practice owners and managers. It will demonstrate how to use financial reports to control costs, prepare and monitor annual budgets, optimise profit and review the contribution to profit made by each individual practice from its professional products and services, individual practice premises and by separate service and/or client categories. Strategy #1: Make an excellent first impression. How do clients first interact with your hospital? Typically, on the telephone. So, be sure to train the receptionist to extend a warm welcome to new clients and find out the specific reason why a client is calling. In the following example, the receptionist politely answers the call, referring to the client and pet by name, and makes it easy for the client to provide the information the receptionist needs. Receptionist: “Hello, this is ABC Veterinary Clinic. My name is Susanne. How may I serve you today? Client: “Hi, this is Peter Oswald. I’m calling to schedule an appointment for my dog, Harris. Receptionist “Thanks for calling, Peter. May I ask if you or Harris has been to our clinic before? Strategy #2: Offer a welcome kit to new clients. Strategy #3: At the end of the initial client visit, offer an incentive to return for a second visit. Instead of (or in addition to) a welcome kit, you can offer a free service to first-time clients. This serves as a small gift as well as an incentive for the client to return on a second visit. Examples include a free nail trim, free ear cleaning, or an item many pet owners are sure to enjoy: a pet “Driver’s License” (e.g., mypetdmv.com), which is a pet ID tag that comes with free registration on a lost dog registry. Strategy #4: Extend the support clients need during euthanasia. A 2004 JAVMA study asked clients to rank the most important factors in their experience of pet euthanasia. “Compassionate and caring attitude of hospital staff” ranked #1 among the clients’ list of factors. Interestingly, clients ranked logistical concerns (e.g., short waiting times and availability of grief resources) the lowest. Thus, staff euthanasia training should emphasize providing emotional support to clients. It may be helpful to supplement staff training by allowing new staff to be present during euthanasia conversations and the euthanasia itself. An empathetic and compassionate disposition is a vital component of the euthanasia experience for clients. Strategy #5: Acknowledge the owner and pet by name. What is a word that is music to your ears? Your own name! Greet a client as soon as he or she walks in the door with his or her own name and the pet’s name. How can your hospital accomplish this with every client? At a pet’s initial visit, take a picture of the pet and keep it in your records. When a client walks in for a scheduled appointment, the receptionist and greeter should acknowledge the client and pet by name based on skimming through that day’s medical record pictures. Strategy #6: Send a quarterly newsletter. A hospital newsletter – even if it’s just quarterly – personalizes the hospital and allows clients to feel as family in-the-know. Grab your audience’s attention by addressing popular owner questions such as how to choose a pet diet, grain-free pet food, dental care, or behavior (“Why does my dog/cat do that?”). In addition, be sure to introduce new staff, promote health awareness and hospital services, and demonstrate hospital strengths such as AAHA accreditation or recent awards. This is also your chance to offer incentives to current clients (e.g.,a discount on your hospital’s grooming service). Strategy #7: Outfit the reception area to suit clients’ needs. While the waiting room may be a holding area in our eyes, clients need it to be much more. How does your reception area address their needs? Clients are burdened with hands full of pets on leashes, paperwork, coats and purses, and possibly accompanying children. To best serve your clients while they wait, provide a clean and quiet area with entertainment, a separate area for cats or exotics, a dedicated children’s table with coloring, and coat racks near benches. Strategy #8: Send a pet birthday card. Surprise your clients with a signed pet birthday card mailed the month of their pet’s birthday. This enhances the hospital-client bond and reminds clients of your services at a random time during the year (i.e., not in association with a vaccine reminder). Pet birthday cards do not have to be specifically ordered from a veterinary greeting card company; an ordinary birthday card with animals on the front will do! Strategy #9: Provide a personal tour. At a client’s first visit or at pet drop-off, offer that client a quick tour of the treatment and surgery areas or boarding facility. The dedicated attention his or her pet receives should relieve client fears of leaving the pet in an unknown setting. Furthermore, this level of transparency should strengthen the hospital-client bond. As an added benefit, a tour is a chance to ask the client for feedback and improve your practice based upon suggestions given. Strategy #10: Text a picture of the pet to the client. What a relief it must be for a client to view his or her pet in recovery! Send your client a photo via text of the pet after surgery to share how everything went well and to confirm the pickup time. An observation for you today from my team, something that is useful to understand and I suspect universally true. Even the best of people and teams can eventually get run down, stale and tired. Things need to be switched up. Often in high performing teams, because high achievers rarely admit to themselves they are feeling exhausted (or not coping), this is seen simply as plateau rather than a decline in output. Holidays are a good way to combat this, ever notice how high achievers are the worst at booking time off? But an even better way is to make sure everyone gets out into the world and networks for a few days each year. I was there as a speaker, and I’m grateful to have the chance to educate people in this way. But the real payback from these events comes in the form of networking. Whether it’s floating around the exhibit hall learning about new techniques and technologies or mingling with the other speakers and attendees. I always feel motivated and energised by hearing about the journey that my colleagues have been on. We celebrate the successes - no matter the size. We share experiences and knowledge. And our failures feel less calamitous - even humourous) when you hear that many others have experienced comparable difficulties. 1. Think: reflect, generate ideas, decide, refocus. Of course, one or two cocktails may be consumed in the process too! Each of these activities: learning, connecting and thinking are essential ingredients for growth and success (cocktails perhaps less so). So if you feel a little jaded, then perhaps it’s time to get out of your "life cage”, book a ticket to an event you’ve never been to before and jump into a new exploratory adventure. And if you do then be sure to say hello if our paths cross. The Self Invested Personal Pension is one of many ways to provide for one’s retirement. It can have a number of financial advantages over more traditional pension funds and it’s often an investor’s accountant or financial adviser that is the person likely to recommend such a scheme. However, the investor will also need a good solicitor and this article sets out in a bit more detail why this is so. Some investors will put commercial property into a SIPP, as if managed correctly the rent from any occupiers and the eventual disposal may give a competitive income and capital appreciation. Alternatively, the investor may use it for his own business purposes. Either way the lease or leases that will be put in place need to be right for all the parties. There will be a lease between the Trustees of the SIPP and the investor but where the property is further let to a third party there will be another (sub)lease as well. If you search for information on line the majority of entries will refer to different SIPP providers and if you want more detail, the regulations that set out how SIPPS work. You’ll have to look harder to find out 1) do I need a lease and or a sublease 2) what will it cost to put the lease (s) in place and what apart from the rent goes into the lease. Typically, they’ll just be one line devoted to this eg “you will need to enter into a lease” but at some stage in the process, typically towards the end ,you will have a 40 page lease to sign up to and possibly another one for your own tenant. So it makes sense to think about this earlier in the process. What use will be permitted under the lease, what will my repairing and insurance liabilities be , will I be able to alter the premises and then if I rent it out how much flexibility will I have in negotiating with my own tenant ie will the Trust/ my landlord give me enough slack to do this. If the investor can think this through before the lease negotiations, there will be no last minute surprises or delays and everything will go through more smoothly. The other thing to remember is that every Property has its own DNA (what’s in the deeds, searches and enquiries) and on completion of a deal there are possible SDLT and Land Registry fees to pay. Again, thinking ahead and speaking to a solicitor earlier on will enable you to calculate what disbursements will need to be accounted for. You need to remember that you’ll often have to pay the Trustees’ fees as well as your own, and your own solicitor will have twice as much work to do if you sublet the property rather than using it yourself. If a SIPP is for you, we advise you get your solicitor on board as soon as you can for the reasons explained above.